A quick reminder to all the traders – the contest starts today so get ready (in less than 1 hour!). There are over 700 traders participating so this one is going be a bit harder If you haven’t connected your account to Myfxbook yet, please do so as that’s the only way to track your progress and rank. Also, we’re almost ready to support FXCM trading accounts (Trading Station and Strategy Trader) and currently in need for beta testers . If you want to help us test it, please send us a message and we’ll send you the software along with instructions on how to use it (we need a small group of around 10 beta testers). One last thing – you might have not noticed it, but our website went down on Thursday for about 3 hours. This was covered here https://www.myfxbook.com/community/general/website-downtime/60299,1 . So what exactly happened? Both of the hard drives on one of our servers failed which left us hanging in mid-air. This was obviously an unexpected downtime, and we worked hard (and late into the night) to restore everything and get the website back up and running as soon as possible. Unfortunately, some of the user avatars and images that were attached to posts were lost as we were left with an older backup only (If you did lose the avatar icon, please upload it again). In order to prevent this from happening again, we’ve already added 2 more servers which will act as backups to create a fail-safe system in which another server will take over if one fails and will also increase the performance of our website. 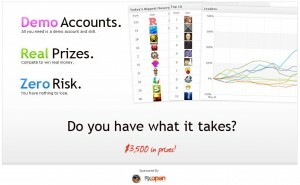 Posted in Myfxbook Updates | Comments Off on Contest Starts Today! We’ve been handling unexpected downtime for several hours due to a complete hard-drives failure on one of our servers. We’re working hard on restoring the website to normal activity as soon as possible (we’re mostly done already). 1 Week Left For Registration! Also, some users have reported they can’t login to the fxopen platform – if you’ve opened an account and can’t login, please open another one. Make sure you’ve opened the account from the provided link above and not from fxopen’s trading platform. On another note, we’ve been working hard on our infrastructure, which needs to be upgraded to handle our growing user base. In the past week we’ve been gradually applying the required upgrades, so you should notice a major improvement in the browsing speed. 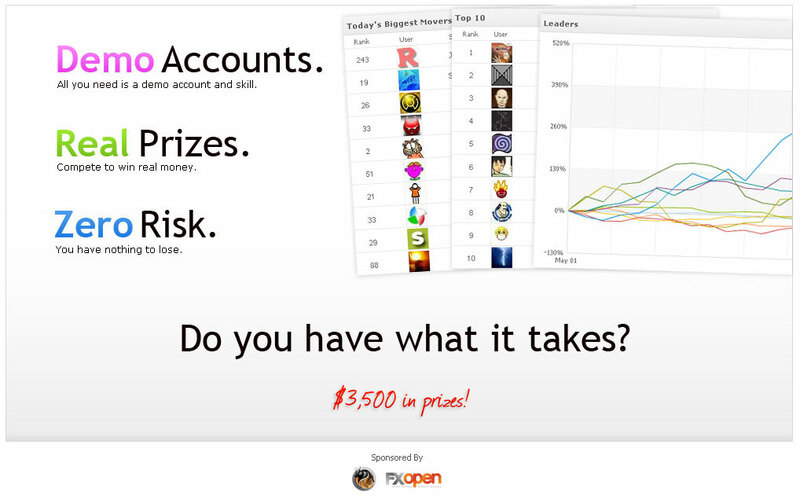 After a long break from the last contest, today we launch our second contest, sponsored by FXOpen. The concept is the same as before: trade a demo account to win real money (Accounts start with $100,000). Registration period is only 2 weeks, so hurry up and register – you have nothing to lose! Register at the following link: Contest Registration. 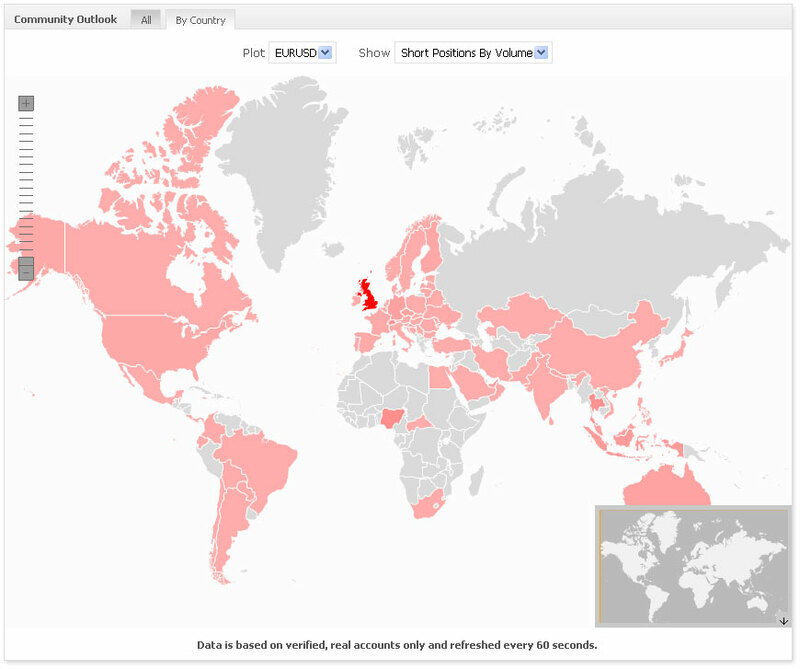 Download the MetaTrader platform of the sponsoring broker. Connect the account to your Myfxbook portfolio. Please note, the trading account will be locked against trading until the start of the contest. We will send you a reminder email just before the start of the contest. This is yet another interesting piece of information which we think would be most interesting to watch after. The chart is self updating every 60 seconds, and based on verified, real accounts only. You are currently browsing the The Myfxbook Blog blog archives for October, 2010.